The delicate balance of power in the Horn of Africa might soon be broken by the developing situation inside of Djibouti surrounding the future ownership of its main port, with the possible American-Emirati reaction to this potentially serving as a trigger for militarily activating the complex transregional alliance system that’s formed in this part of the world over the past couple of years. The tiny state of Djibouti is once again making global headlines after its government ended a contract with an Emirati port operator late last month that was in control of the country’s most important container terminal. The move followed a multi-year dispute that culminated in what Abu Dhabi decried as an “illegal seizure” of its asset, but which the national authorities said was a necessary action to end the stalemate. This seemingly insignificant commercial spat would have remained irrelevant to international politics had the US not decided to weigh in earlier this week in supporting its Emirati ally. “If the Chinese took over that port, then the consequences could be significant”. These statements have thus turned an ordinarily uneventful dispute that’s destined for the Court of International Arbitration into a full-fledged geopolitical scandal. 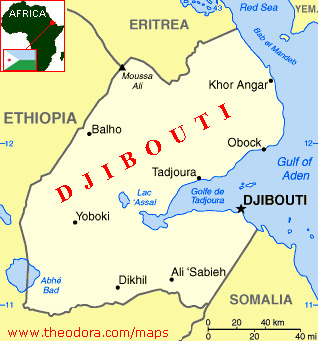 Djibouti is of global importance because of its location at the Bab el Mandeb strait that connects the Red Sea to the Gulf of Aden and serves as the maritime transit location between Europe and Asia. Apart from the US, China, France, Italy, Japan, and soon even Saudi Arabia all have bases in the country, with India being able to utilize America’s by means of the summer 2016 LEMOA deal that gives each country access to the other’s military facilities on a case-by-case “logistics” basis. 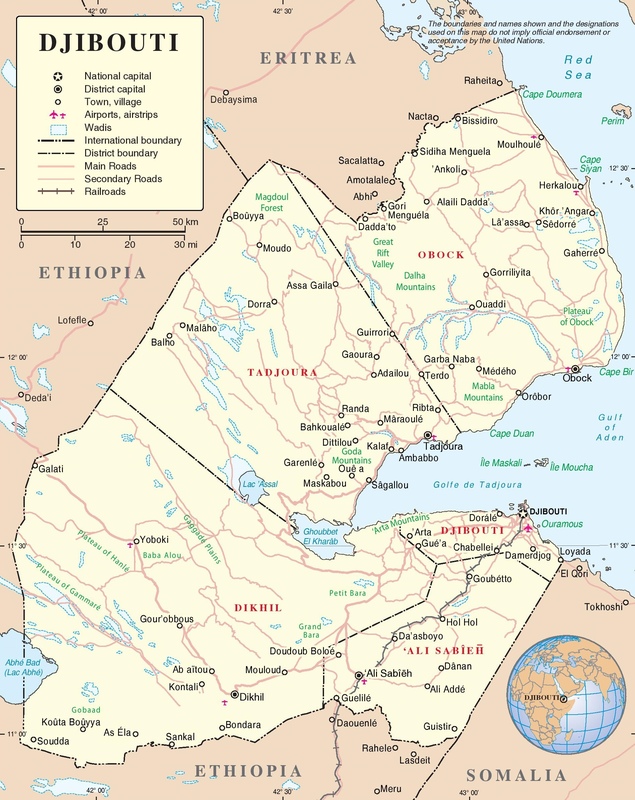 Furthermore, Djibouti is the terminal location for the Djibouti-Addis Ababa Railway (DAAR) that basically functions as “China’s CPEC” or the Horn of Africa Silk Road, thus explaining one of the unstated strategic reasons why Beijing chose the country for hosting its first-ever overseas military base. Ethiopia, however, is at the center of a transregional alliance system that’s sprung up in the area over the past couple of years as a result of its ambitious efforts to construct the Grand Ethiopian Renaissance Dam (GERD) on the Blue Nile River that provides most of the more famous Nile’s water. The balance of forces has seen Ethiopia band together with Sudan while Egypt – which claims that GERD will adversely affect its water supplies and therefore make it strategically dependent on Ethiopia – has sought out Addis Ababa’s nemesis, Eritrea. Moreover, the Gulf Cold War has expanded to the region, with Qatar siding more closely with Ethiopia and the UAE partnering with Eritrea, in which it has a military facility that it uses in connection with the War on Yemen. Saudi Arabia is impartial because it has military relations with Eritrea but agricultural ones with Ethiopia, even though its Egyptian partner (which practically functions as a subordinate or client state at this point) wishes that it took a stronger stand against Addis Ababa. Djibouti’s situation is much more complex than any of these parties’ because it has close relations with each of the countries that have or will have military bases within its territory, and it had previously enjoyed positive relations with the UAE prior to the port dispute. Qatar used to station peacekeepers along the Djiboutian-Eritrean border since their brief 2008 border conflict but withdrew them last summer after both states sided with Saudi Arabia in the Gulf Cold War. Even though Djibouti has historically harbored suspicions of much larger Ethiopia’s intentions, especially since it became landlocked following Eritrea’s 1993 independence, its fears have been allayed ever since China got involved in DAAR and apparently convinced it that Addis Ababa has no interest in behaving aggressively towards the de-facto city-state so long as its Silk Road access to the People’s Republic is ensured. In fact, the “African CPEC” did more for building trust between these two lopsided countries than anything else could have ever done, though it wasn’t a solution for regional stability in the geopolitical sense, as is evidently seen by the transregional alliance system that was earlier described. In fact, the structural instability that now characterizes the Horn of Africa might reach a breaking point with the potential destabilization of Djibouti that might be brought about if the US and its Emirati ally join forces in pressuring this tiny country to reverse its takeover of the disputed port. Washington is already hinting that it might consider this to be a ‘national security threat’ to its interests, while Abu Dhabi is alleging that what happened is no different than the strong armed robbery of one of its most prized global assets. The groundwork has now been established for these two countries to cooperate in making Djibouti pay for what it did. The UAE’s Eritrean underling already has a preexisting border disagreement with Djibouti, and it wouldn’t be difficult for the wealthy patron state to tempt its impoverished client to make a move against Abu Dhabi’s new regional adversary. Djibouti was briefly rocked by pro-Islamist Color Revolution unrest at the end of 2015 that was quickly quelled by the authorities, though there’s no saying that such a scenario couldn’t be “encouraged” to repeat itself in the near future as “phase one” of an American pressure campaign. The merging of conventional Eritrean aggression, Asmara’s asymmetrical use of the Al Shabaab terrorist group that the UNSC sanctioned the country for supporting, and American-backed Color Revolution unrest in the urban center would constitute a classic Hybrid War in the Horn of Africa. Eritrean aggression against Djibouti could prompt Ethiopia and Sudan to take action against it, thereby drawing in Asmara’s Egyptian ally and its GCC partners, all of which might create a situation that compels the US and China to intervene at different stages and in varying capacities to uncertain ends. Ethiopia is in the throes of its second state of emergency in just as many years, and the Color Revolution blockage of DAAR might be all that’s needed to provoke the Oromo into reviving their Hybrid War campaign and possibly pushing the country past the edge of collapse. So long as China can avoid the “mission creep” scenario that the US is pushing it towards, it might be able to manage any Eritrean-Djiboutian border tensions (and possibly others) through a peacekeeping mission like the one that it proposed last summer, therefore stabilizing the region. China is the best suited out of any country to mediate between all conflicting parties within the region, especially if it commits peacekeepers to the cause, and this might see its diplomacy producing the Silk Road fruit of more “win-win” deals that sustain the peace that its soldiers first attained. The aggregate consequences of China’s military and diplomatic efforts at obtaining, securing, and advancing peace in the Horn of Africa could enable Beijing to become a stabilizing force in one of the world’s most unstable regions and consequently assist its integration into the Multipolar World Order. The latest developments in the tiny Horn of Africa country of Djibouti might seem uninteresting for most outside observers, but upon closer examination of the broader strategic dynamics at play and the delicate balance of power between the two transregional alliances there, it becomes apparent that these unresolved and escalating events might serve as a catalyst for a larger conflict. At the risk of sounding cliché, the “stage is set” and all of the local actors are ready – and almost eager, one could argue – to “play their role” in the upcoming “drama”, with only China having any realistic chance of stabilizing the situation before it gets out of control. That said, China must also remain cognizant of the US’ desire to trap it in the quagmire of “mission creep” as a proxy means of “containing” its influence in Africa, and Beijing’s relatively ‘conservative” decision makers aren’t predisposed to overtly intervening in other countries’ affairs, though the recent case of Myanmar stands out as a notable exception and might portend a change in policy. In any case, it’s clear to see that the destabilization of Djibouti will inevitably have negative consequences for China’s regional and Silk Road interests, thereby making the most recent developments yet another example of how the US-Chinese proxy struggle is rapidly reaching every corner of the world. All images in the body of the article are from the author.